So much of your college experience is built on the answers to these questions: Where will you live? What will you eat? Who will you be doing life with? And what will you be doing? 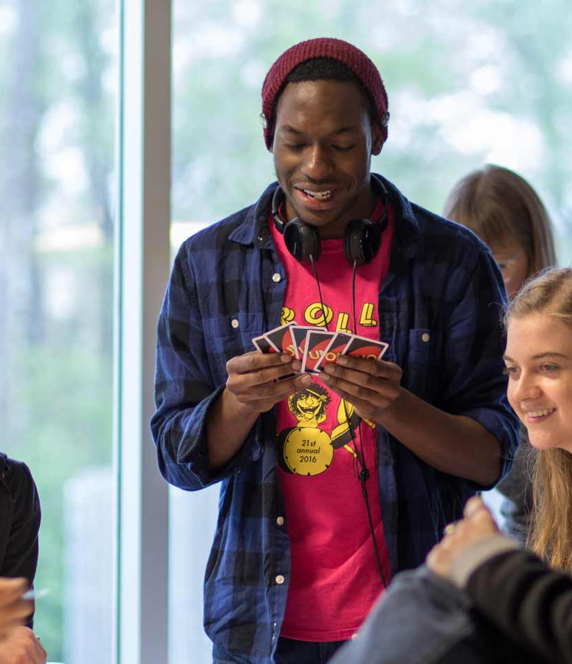 Within the campus life at Trinity, you’ll find a community full of life—organizations, groups built around passions, nonstop events. But it’s missing exactly one thing: you. Your place is here. Come make it yours. Your college experience in Chicagoland. It’s easy to see why so many of our students choose to live on campus—the friends you’ll make, proximity to classes, and, unique to Trinity, the suite life: all residences include an en-suite bathroom. with one male and two female floors. The rich campus ministry life at Trinity will round out your college life.